Machine learning is a subset of artificial intelligence that deals with mathematical models and algorithms to help machines learn from data. Businesses create a lot of data in their lifespan and this data can be used to help the business grow. By taking a data-driven approach, companies start to notice trends that they might not have noticed before. Machine learning can allow for businesses that collect large amounts of data on their products and users to detect these revenue generating trends. There are three main categories of machine learning that businesses can use: regression algorithms, clustering algorithms, and classification algorithms. Let’s go in depth about each one. If you much rather watch a video about this exact topic, then I made a YouTube video to go along with the article. Check it out. Want to know what a certain visitor might do when they come to your website or app? This is where regression algorithms can come into handy to try to predict what might happen given a certain set of data. For example, let’s say you run a mobile app company and you have a app that allows users to easily track their expenses and create a report at the end of the month. You collect data on every user and what they are doing on the app. You collect data such as “has the user gone through the on-boarding process”, “does the user use a certain feature”, “how long does the user stay on the platform”, and many other similar data points. 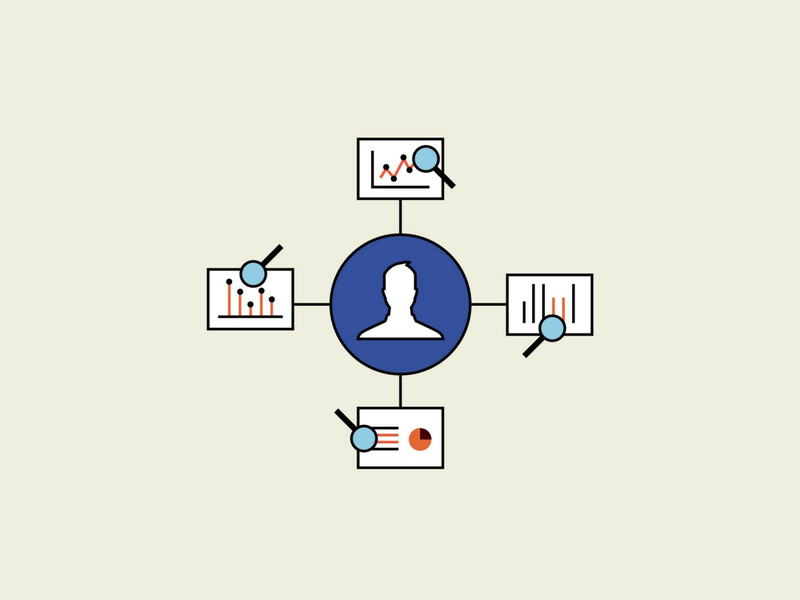 You can then track which users turn into highly profitable customers. You now have a data set full on independent variables (“does the user use a certain feature”, “how long does the user stay on the platform”) and you have your dependent variable (“highly profitable customers”). Now you can allow for a regression based machine learning algorithm learn the trends in the data that are more likely to lead to a highly profitable customer and given a new customer, it can predict based on the independent variables, how likely they are to become a highly profitable customer. Regression algorithms include simple linear regression, multiple linear regression, polynomial regression, logistic regression, and many more. It’s up to you to decide which one to use for your business. So to quickly recap, you can use regression algorithms to predict how a customer will behave given some data about them. The algorithms learn from previous data so it’s very important that you have a large dataset so you can start to take advantage of the Law of Large Numbers. Your regression algorithms will get better over time as more data pours into your website/app and you’re able to get better data on how users behave. You can regression analysis in offline businesses as well. If you collect data on your consumers and what particular things they do and data about them, you can start to notice trends emerge in who purchases more from your business and start to advertise more to that audience. 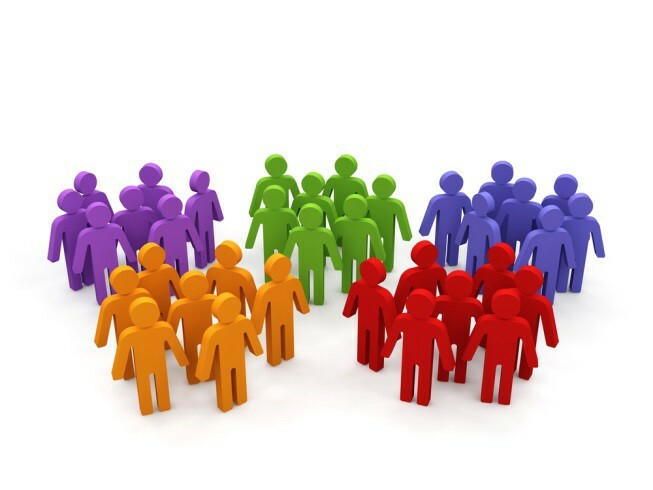 Want to figure out which groups of customers exist in your business? Do you have one single group that buys from you or are there customers who originate from different niches who all have a unique problem that your product is fixing? Clustering algorithms can help you take on these questions. As the name suggests, clustering algorithms can “cluster” data together into groups. For example, let’s imagine that you run an e-commerce website that sells clothing and makeup and you want to determine which types of customers buy on your website. You want to use this information to create custom content marketing for each group that exists on your website so you can drive more traffic and sales. You collect data such as age, gender, location, time spent on website, where they were referred from, price of product purchased, etc., about each one of your customer. 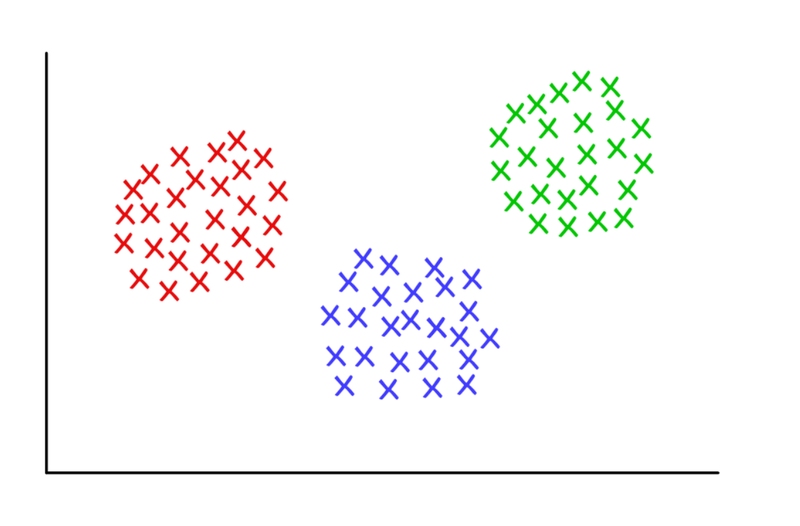 You then use a clustering algorithm such K-Means Clustering Algorithm to determine which groups exist. Let’s say hypothetically you find three main groups of customers that exist for your e-commerce website. The first group comes from Facebook Ads, they’re young female customers, and they purchase low priced items only. Now you know how to target properly on Facebook to drive more traffic and sales, you create ad creative or opt-ins directed toward young females with low priced items. The second group comes from your email list, there is no distinct age that describes them, however, they spent a lot of time on your blog and they tend to buy higher priced items. Now you know to send your email list to your blog and have them read as much of your content as you can. Within the content, you place links to buy some of your higher priced items. The third group comes from Instagram, they are young males, they spend very little time on your website and they buy low priced items. Now if you’re running a clothing and makeup brand, you might be surprised as to why there are male customers. Maybe your initial hypotheses that males do not purchase clothing and makeup is false. Or maybe they’re coming because their girlfriends convinced them to buy something for them. At this point, it’s up to you to research deeper into this and figure out what it is. Once you pinpoint what’s causing young males to become a customer of your brand, you can start to directly market to them with the correct messaging which will drive up revenue for your company. So now that you’ve figured out which groups of customers exist for your business, you want to know how to classify a new visitor on your website so you can adapt the content to best suit their needs. In this case, a classification algorithm can come into handy. 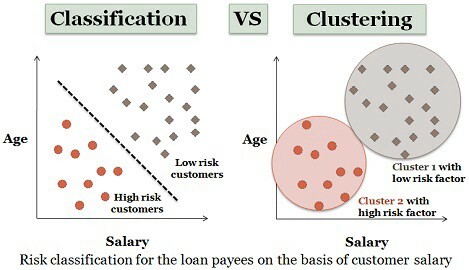 As the name suggests, classification algorithms “classify” a new data point into a certain category/group. So let’s say that you’re running a mobile app that allows users to create music videos and post them to share with their friends. You’ve figured out that there are three distinct types of users that are contributing to the growth of the platform. Now, given a new user and some data about them, we need to be able to classify them to the best of our abilities into a specific group. This will benefit us because once we know which category a new user falls into, we can adapt the platform to that specific group’s needs and wants so that specific user can drive more growth on the platform because the platform itself adapted to his or her needs and wants. You can use the K-Nearest Neighbors Algorithm to decide which cluster this new user falls into and then based on that classification, you can adapt the platform to increase the chances that this new user drives more growth to your mobile application. Generally speaking, businesses will first collect data about their customers or leads or whatever they are aiming to get more of, figure out which groups exist, figure out the needs and wants of each group, then classify new users into those groups so they can adapt their product to that specific group’s needs and wants. Machine learning is a subset of artificial intelligence (AI) and it can be used to complete complicated business objectives. 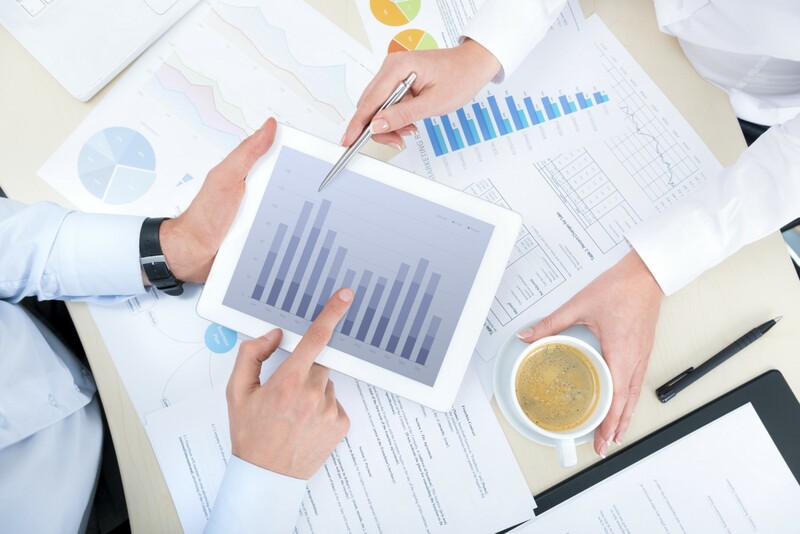 The most important part, however, is that your business collects data. Without the data to fuel the algorithms, you cannot get any meaningful insights on growing your business. I highly recommend coding some kind of data collecting system into your software or hire employees to gather data for your offline business. If you would like to discuss about how you can use machine learning in your own business, feel free to reach out to me, it’s @sunnychopper on pretty much every social media platform or email me at ishy.singh@gmail.com. I love talking about business strategy and how machine learning can help facilitate the business processes.